I’ll admit, I downloaded this book randomly from Edelweiss because I liked the title. Secrets? Yes please. Although, this book is less about Lily’s secrets and more about the overall mystery of who murdered Erin, Lily’s classmate and the girlfriend of the guy that Lily has been spending an awful lot of time with. I always love a good murder mystery, and The Secrets of Lily Graves certainly delivered on that front. While I found it pretty easy to figure out who had killed Erin, I had a lot of fun going along with Lily as she discovered the clues and put everything together. I was a little unsure of my conclusion at times, because Strohmeyer does a great job of misleading the reader and making them question themselves. It was enjoyable and fast paced and mysterious. I admit that some of the plot – mainly the cops – wasn’t completely realistic. But hey, this is fiction. do I care if the police department isn’t the most realistic and true-to-life? No I do not. Lily’s involvement with the police department was interesting to read about, and honestly quite hilarious when she was telling them how to do their job. I thought Lily was a good character, with a lot of personality and charm. Although, she did annoy me a little in the flashbacks, which I will get onto in a moment. Mostly, she was fun and intelligent, and I really liked that she knew what she wanted to do with her life after leaving school. My mum trained to be a funeral director, and seeing all that stuff represented in this book was great. We got to see some embalming happen, and Lily helped her mum out with work occasionally, which meant she knew some stuff that could help the police. It was like an unprofessional version of CSI, with Lily being a really good detective for a teenager. Now, I had some issues with the romance. It gave me so many feels, and I totally shipped Lily with Matt. The two met through tutoring (which is how one of my favourite couples of all time met, see below) and they grew closer in the months before Erin’s death. They had chemistry, and it made me emotional, but it didn’t override the plot. The mystery was a much bigger deal than the romance, and the most important thing on Lily’s mind was getting justice for Erin. The issue that I had with the romance though was that Matt reveals that he initially set up the tutoring sessions because he wanted to talk to Lily and get to know her better. I have a problem with this revelation for two reasons, the first being the most obvious – he was dating Erin at the time. Matt and Erin obviously had issues, but that’s no excuse for Matt to pay to get to know another girl behind Erin’s back, even if Matt and Lily didn’t do anything romantic (although it was questionable at times). The second issue I had with this is that at the beginning of the tutoring sessions, Matt didn’t talk to Lily at all and he left as soon as his hour was up. This didn’t exactly scream “I find you bloody attractive, let’s be friends”, and it didn’t fit with the characters or the plot at all. That said, my issues didn’t really matter to me in the end because a) I comfortably ignored them and continued with my shipping, and b) their chemistry made up for all of that crap. Plus, all of my ships have issues. Nathan originally started his tutoring sessions with Haley because he wanted to get back at Lucas, didn’t he? It wouldn’t be a real relationship without problems, and it wouldn’t be an OTP without pain. Not that Lily and Matt are OTP, but they’re awesome. 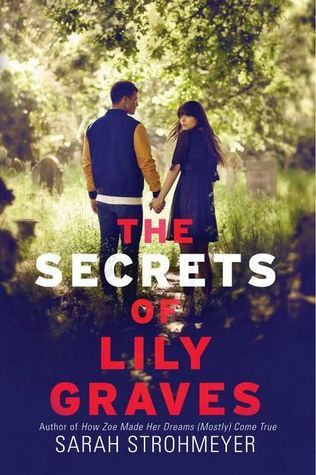 The Secrets of Lily Graves isn’t a perfect read by any means, but it’s a fun one, and an exciting one. There’s a murderer on the loose, Lily has a fight with the deceased hours before their death, and the boyfriend is getting the blame. I had a lot of fun with this one, and I stayed up late into the night to read it (the fact that I read it during a readathon doesn’t matter), and I would recommend it if you’re looking for a thrilling story. And a cool ship because OHMYGOD. glad you enjoyed it amber! Ahhh, Naley forever. That’s it, you had me hooked from there! I agree with you about the cheating! I can’t stay away from mysteries. I’m going to read this one. I’m not much into thrillers, but I have read 2 of Sarah Strohmeyer’s books. One had a mystery-the feel to it too. And I think she is quite good in that respect. I think she also likes sidetracking the readers with their love interests. Her writing isn’t perfect but they are certainly fun and entertaining. I would most likely check this one out if I get the chance to do so. I’ve been wanting to read a book by this author for the longest time and just haven’t gotten to them yet!! Titles like this one always get me. I must know these secrets!! 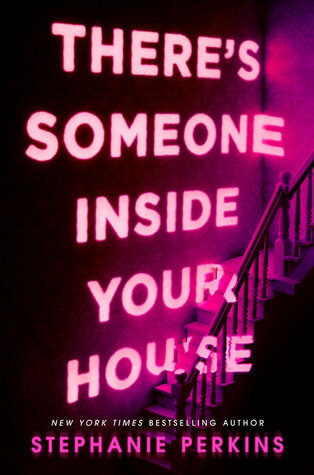 I also like this new murder/mystery trend in YA. I just need to find the good ones. I’m going to give this one a try. #Naleyforever. You just sold me on this. I’m so excited to get my hands on this one! Good to know you enjoyed the romance and mystery.